Aspen, the picturesque mountain town in Colorado, is known for two processes, or "verbs," relating to heritage and virtuality. One is to "moviemap," the process of rigorously filming path and turn sequences to simulate interactive travel and to use as a spatial interface for a multimedia database. The other is to "Aspenize," the process by which a fragile cultural ecosystem is disrupted by tourism and growth. This essay reflects on their significance and describes exemplar work integrating these two seemingly disparate concepts." It's July, 2003, and I'm back in Aspen. Actually not in town, but in Missouri Heights just above El Jebel, the small town a half-hour drive "down-valley" from Aspen, at my sister Judy and her family's home. Judy is a local, having visited Aspen in the early 1970s and stayed. Like many of her friends who also stayed, she eventually married, had children, and moved down-valley. Real estate ads in this week's Aspen Times list Aspen homes beginning at $2 million and going upwards of $10 million. My first time in Aspen was 25 years ago, filming, of sorts. Several pulse-frame motion picture cameras were configured panoramically on top of a jeep and triggered by a fifth wheel trailing from the rear. We were filming one frame every ten feet, driving up and down every street in town and through every intersection every possible way. That Judy lived in Aspen then was roughly Reason Number Four why a small group of MIT researchers, myself included, chose Aspen, Colorado, as the test bed for a new form of interactive experience. Judy worked at "Aspen State Teacher's College," not a college at all but a local prank and small business selling t-shirts, mugs, and other college paraphernalia to tourists, mostly skiers and hikers. Judy's local knowledge would be useful for production, it was concluded. The other two reasons were that Robert Mohl, another MIT researcher, grew up in Colorado and had professional photography experience around Aspen; and that the nascent Aspen Design Conference would be a befitting venue for presenting the project when it was completed. Whoops, did I forget Reason Number One? Simply - because it was Aspen, a intensely beautiful mountain town with a single traffic light and a lively local community. Why fib? Aspen was a cool place and we all wanted to go. 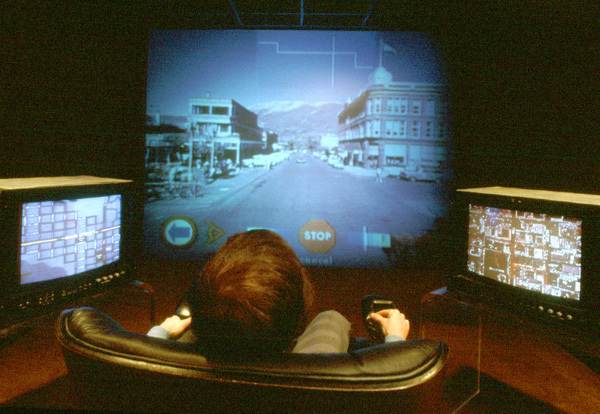 The Aspen Moviemap was the first interactive "virtual travel" project to incorporate photo-realistic images via computer-controlled videodisc. The project, which began in 1978, originated at MIT's Architecture Machine Group, Nicholas Negroponte's proto Media Lab. Andrew Lippman, already a long-time colleague of Nicholas', was the Principal Investigator. Funding came from DARPA's Cybernetics Technology Office, headed at the time by Craig Fields, who had already supported other projects relating to visual mapping. The Aspen Moviemap was an academic, non-commercial, non-classified project. The optical videodisc was a revolutionary technology then. Remember, if you can, 1978: 16mm film was the primary medium for all television news gathering; video editing was barely computerized; and storing moving pictures in computer memory was ten years away. The optical videodisc was capable of storing a half-hour of analog video (54,000 frames) and two-channel audio, with instant access to all the material via computer control. In early 1978, "ArcMac" received one of the first twenty-five prototype videodisc players from the MCA Corporation, and with it a contract to master three discs of its own. That Spring, an energetic MIT undergraduate named Peter Clay proposed "mapping" the hallways of MIT by mounting a 16mm film camera capable of shooting single frames on a dolly tripod, then wheeling it down the hallways triggering one frame every step he took. With the help of graduate students Bob Mohl and me, Peter shot the hallways. The footage was included on the "B-side" of the "Slidathon" disc, MIT's first laserdisc. Peter and Bob made a simple computer program that allowed control of speed and direction moving up and down the hallways. Voila! "Virtual travel." A sweep like this is not inconspicuous - driving down the center of the streets and photographing every facade - and the Aspen townspeople were characteristically nonchalant about our presence. Everyone, from the sheriff's office to store owners to residents, was cooperative, if not amused. The final project took shape back at the lab, where the material was organized, edited, and mastered onto a videodisc. The controlling software and interface design, with the additional help of ArcMac graduate students including Steve Yelick, Paul Heckbert, and Ken Carson, turned the mass of material into a singular virtual travel experience. By Summer, 1979, the Aspen Moviemap was ready for its first demo, and it caught the attention of the press. Moviemapping, it seemed at the time, was destined to enjoy widespread popularity as a new medium for experiencing place, for virtual travel and virtual tourism. The dream was that popular tourist destinations, spectacular landscapes, sacred places, and heritage sites could be moviemapped and appreciated by many more people than could actually go there. It would be more experiential than magazine photographs and linear television shows. Indeed, it was most often referred to as "surrogate travel." The concept of community "sweeps," often with the participation of locals and students, continued. In the early 1990s, the Apple Multimedia Lab organized a one-day sweep of Moss Landing, a small California coastal village. In the mid 1990s, the UC Berkeley Center for Design Visualization and the UNESCO World Heritage Centre led groups to sweep various cultural heritage regions in Europe. New digital technologies for capture, modeling, and display add greater possibility and practicality to moviemapping. Moviemap - the verb - made Aspen an exemplar of what place representation using new media technologies can be. But the verb more popularly associated with Aspen than "to moviemap" describes something else. To "Aspenize," says one longtime Aspen public official, is when small towns "choke on what their charm has brought them." 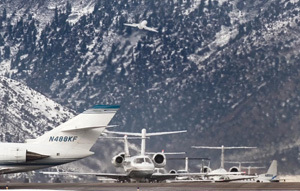 Aspen has become the poster town for this process, and its emblematic image is a mountain landscape foregrounded by an airport full of private jets. "Aspenization" has since been used to describe growth and development in towns from Santa Fe to Whistler and from Hawaii to New Zealand. For better and for worse, Aspen has earned this transformation into a verb. The Aspen locals have a long and spicy history of trying to maintain control of their community. In 1969, "gonzo" journalist and Aspen local Hunter S. Thompson co-founded the "Freak Power" party. Its mayoral candidate Joe Edwards ran on an anti-development platform that included, among other things, replacing the paved roads with sod to slow down development. Edwards lost by six votes. The following year Thompson ran for sheriff of Pitkin County, the much larger region, and lost by 500 votes. If ever there were "tipping points" in the history of US anti-development movements, these Aspen elections may have been as close as it came. Aspenize - the verb - made Aspen an exemplar of what happens when local custodians lose control of the place. That Aspen spawned the both Moviemap and Aspenization is noteworthy for several reasons. First, issues surrounding place representation, as exemplified by the Moviemap, and issues surrounding place control, as exemplified by Aspenization, are two of the most prominent issues surrounding heritage sites. Second, these two professional communities tend to be of different cultures and rarely interact: they drink in different bars. Finally, evidence suggests that representation and control are deeply interconnected. As we move forward with our powerful new tools for place representation and virtual heritage, the questions remain "by who?" and "for who?" With travel and tourism representing 10% of the global economy, there's a lot at stake to get it right. But it's painfully easy for the outside holders of the technology, rather than the local providers of the content, to set the rules. Without balance and cooperation between both, the loss will be everyone's, particularly ours. A colleague once joked that if everyone who claimed to have worked on the Aspen Moviemap were to convene for a reunion, it would have to be held in Denver because Aspen is too small. I gratefully acknowledge the review and fact-checking of the Moviemap text by Andy Lippman and Bob Mohl. I also gratefully acknowledge New York Times writer Jim Brooke, former Pitkin County Commissioner Michael Kinsley, and Judy Naimark Sullivan for their help. I also thank Ed Bastion, Hunter Thompson's Campaign Manager in 1970, for confirming details directly with Mr. Thompson for this essay; and Paul Conrad and The Aspen Times for use of the photograph. Bernard Nietschmann was a longtime mentor and personal friend. Once, on a boat with Barney on the Rio San Juan in Nicaragua, I made the very dumb mistake of referring to our location as the "middle of nowhere." He blew up at me and screamed "What is nowhere?!? There is NO nowhere!" Barney, who died in 2000, was uniquely gifted at bridging cultures. Baker, W. (1985). "Izum in Rindydinkaragua." Whole Earth Review [formerly CQ], No. 46. Brooke J. (1998). "Subsidies for High-Income Families." New York Times, May 17, 1998. Gates D. (1993). "Chic Comes to Crested Butte." Newsweek, December 27,1993. Kinsley M. (2003). Telephone interview, 24 July 2003. Lippman A. (1980). "Movie-maps: An application of the optical videodisc to computer graphics." ACM Siggraph Proceedings, 1980. Lippman A. (2004). Personal email, 29 October 2004. Mohl R. (1981) "Cognitive Space in the Interactive Movie Map: An Investigation of Spatial Learning in Virtual Environments." PhD dissertation, Education and Media Technology, M.I.T. Naimark M. (1997). "A 3D Moviemap and a 3D Panorama." SPIE, 3012. Nietschmann, B. Q. (1984). "Nicaragua's Other War." Co-Evolution Quarterly, No. 41. Nietschmann, B. Q. (1995). "Defending the Miskito Reefs with Maps and GPS: Mapping With Sail, Scuba and Satellite." Cultural Survival Quarterly, Vol. 18, No. 4. Nietschmann, B. Q. (1997). 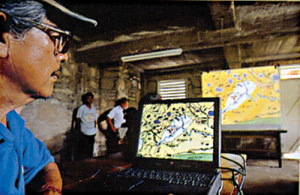 "The Making of the Maya Atlas," in Maya Atlas, pp. 136-149, North Atlantic Books, Berkeley, CA. Toledo Maya Cultural Council and the Toledo Alcaldes Association (1997). Maya Atlas. North Atlantic Books, Berkeley, CA.